GHS Nickel Rockers are special. 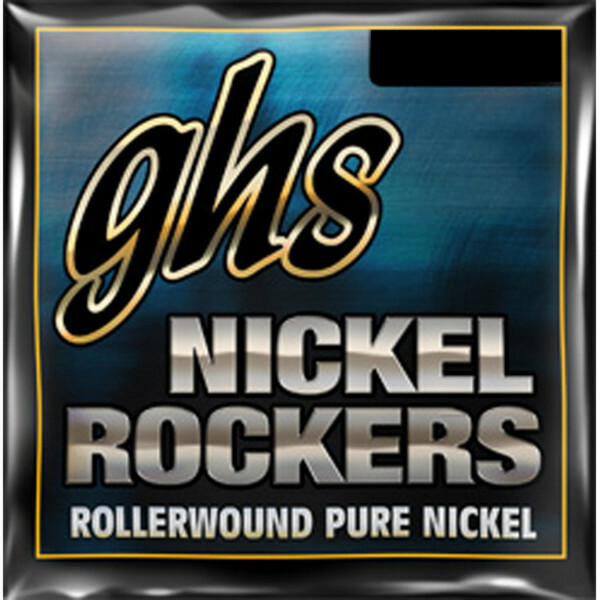 Since 1964 Nickel Rockers have provided discriminating guitarists with the PURE NICKEL sound of original rock n' roll and the warm tones of blues and jazz. The unique GHS rollerwinding process slightly flattens the strings for a smooth, comfortable feel with a "touch" of extra tension. GHS Strings is the first choice for many of the world's most renowned professionals, including Jack White, Pearl Jam and Green Day. All GHS products are manufactured with one objective - to provide players with products that continually exceed their expectations.